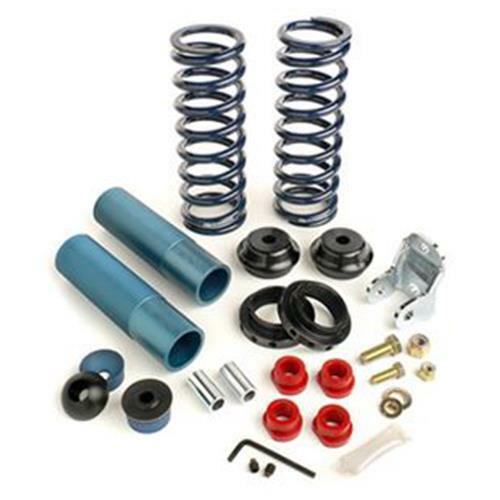 Adjust ride height & increase handling performance in your 1979-2004 Mustang with this Maximum Motorsports Koni rear coilover kit! - Purchase of (1) MM-MMSM2 required for installation if you don't have an MM panhard bar. - This kit services the rear suspension only. - This part requires modification to your shocks. Please review all instructions before modifying. If you have any doubt please call Maximum Motorsport. - Will NOT fit 1999-2004 Cobra. - Any Koni rear shock listed for 1979-1993 Fox Mustangs. - Koni STR.T (Orange) shocks. - Any Koni shock listed for the 1999-2004 Cobra IRS.